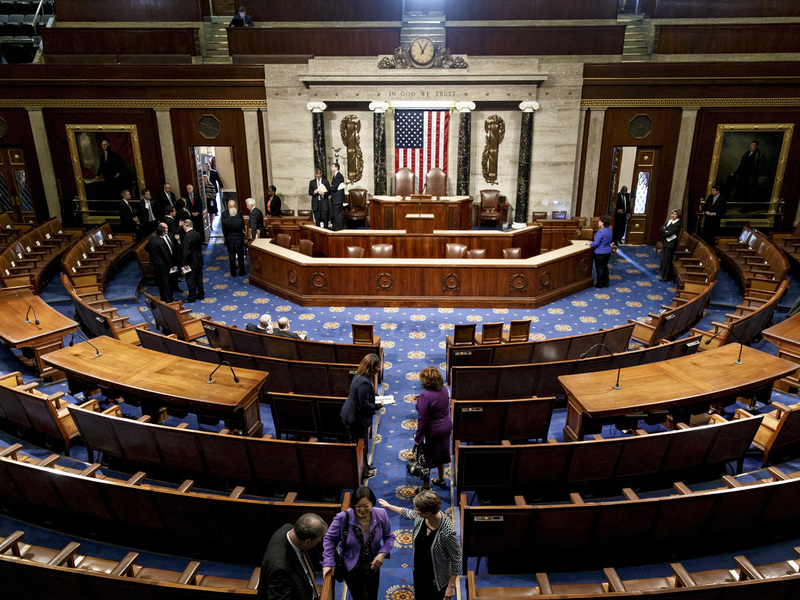 5 Things To Know About The 2014 Midterm Election : The Two-Way The balance of power in the House and Senate could be upended with Tuesday's vote. We break down some of the key themes and offer a few predictions. 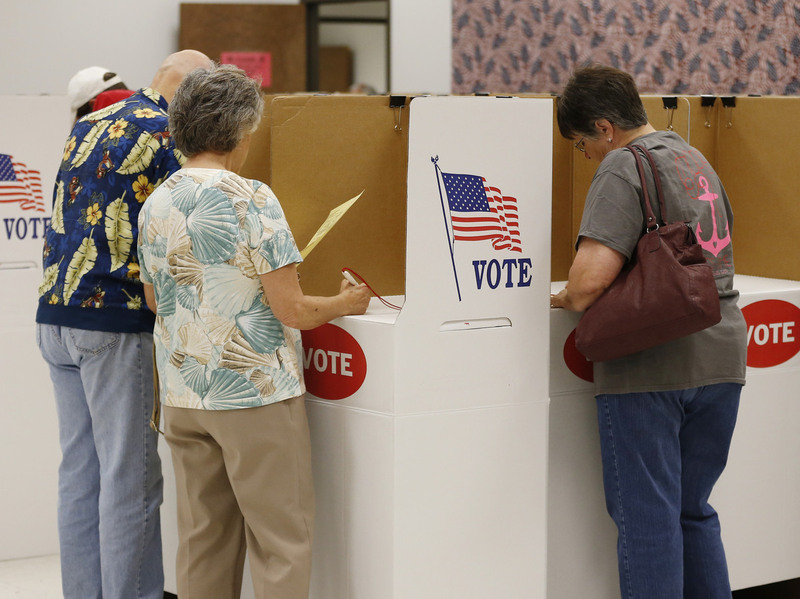 Voters participate in early voting this past June at the Oklahoma County Elections Board in Oklahoma City. 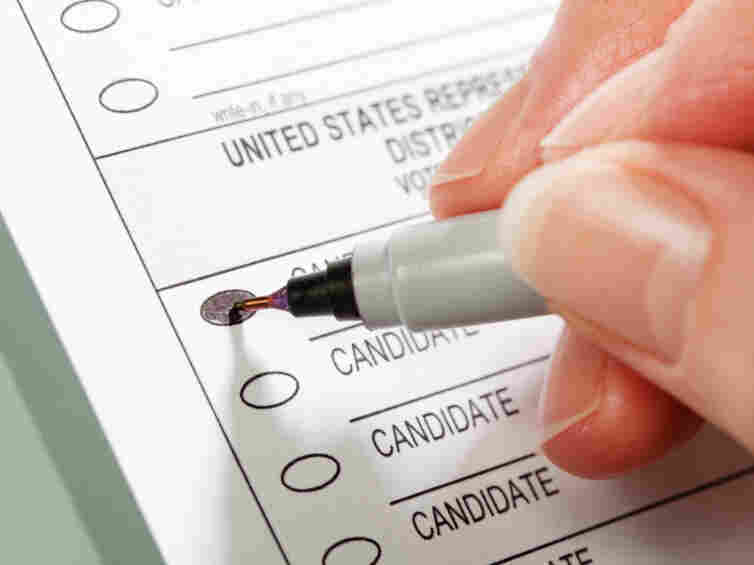 In case you haven't been following this year's election that much (don't worry, we're not judging you), we've rounded up a list of big ideas in play in the 2014 midterms. You're likely to see fewer of these cast this year than there were two years ago. Turnout: In a nutshell, it's likely to be lower than in 2012. The Pew Research Center says voter turnout in the midterms has been lower than in presidential election years as far back as the 1840s. NPR politics editor Charlie Mahtesian says that "[low] turnout in a midterm election also means the composition of the electorate looks different. In a midterm like this one, demographically the electorate tends to be older and whiter. That tends to be a recipe for a good Republican year." Pew's got a little more background on GOP engagement here. It says Republicans are more excited than Democrats about this election. Voter turnout also could be affected by a number of voting law changes in several states that some think could hurt Democrats. NPR's Pam Fessler has a roundup. 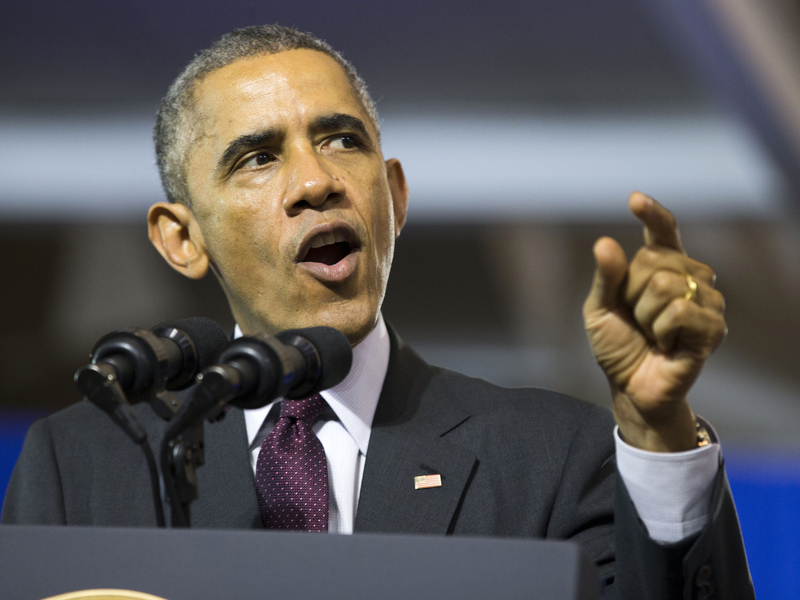 If past is prelude, President Obama's party may be in for a rough time. The 'Six-Year Itch': This is the idea that the election in the sixth year of a president's two terms tends to be very bad for the party in power. PBS NewsHour says all seven presidents elected since the Great Depression have seen their parties lose seats in both the House and Senate during their second terms. This will probably hold true for President Obama, as well. According to Gallup, Obama's job approval rating has been under 50 percent for well over a year. Money: The Center for Responsive Politics says almost $4 billion will be spent on this election — making it the most expensive midterm ever, with Republicans spending a bit more than Democrats. Some of that stems from the Supreme Court's controversial decision in Citizens United in 2010 that made it legal for corporations and unions to spend as much as they want to support or attack candidates. ABC News has a nice roundup of the most expensive races of this election. The North Carolina Senate battle between Democrat Kay Hagan and Republican Thom Tillis tops the list, with $113 million spent so far. Another interesting tidbit: NPR's Peter Overby reports that the number of TV ads running this election is actually down from 2010. Sen. Mary Landrieu, whose family has deep political roots in Louisiana, and former President Bill Clinton, whose wife may have her eye on the White House in 2016. Dynasties: Several big-name politicians running for office this year — and some rumored to be running soon — come from families with other successful politicians. NPR's Mahtesian calls this the recurring theme of dynasty politics. "For a country that was founded in rebellion," he says, "we really have a soft spot for political royalty." He's right. 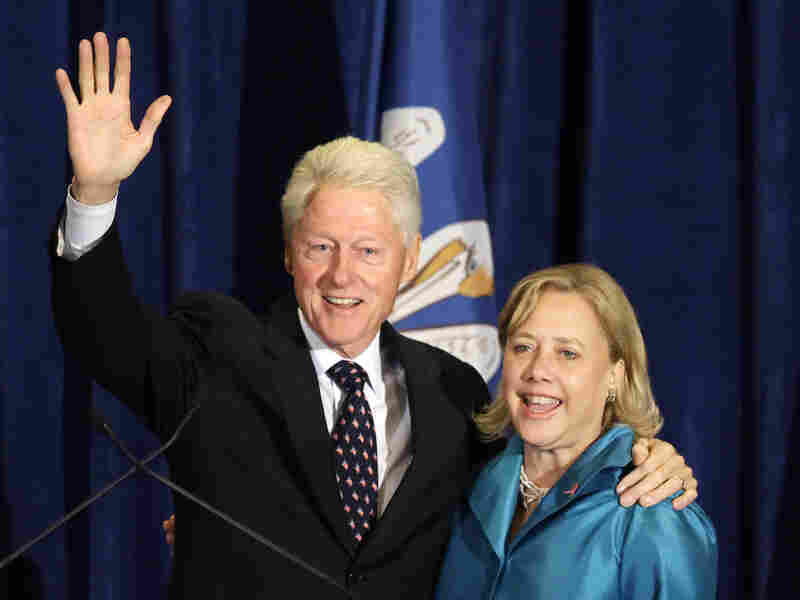 You've got Sen. Mary Landrieu, the Louisiana Democrat whose father and brother have been mayors of New Orleans. There's Sen. Mark Pryor, an Arkansas Democrat whose father was also a senator. And Democratic Sen. Mark Udall of Colorado comes from a long line of political royalty. His cousin Sen. Tom Udall, a fellow Democrat from New Mexico, is also running for re-election this year. And the 2016 presidential race already has outlines of dynastic politics — with prospective candidates such as Jeb Bush, Kentucky Sen. Rand Paul and, of course, Hillary Clinton. Mahtesian says this phenomenon isn't new: Until Obama won the presidency in 2008, every single winning presidential ticket since 1980 featured either the son of a U.S. senator or the son of a U.S. president. Who will win congressional seats that are in play? Odds are they will be incumbents. Incumbency: There are some sitting House and Senate members who should be worried about holding on to their seats, but for the most part, incumbents stay put. "Few things in life are more predictable than the chances of an incumbent member of the U.S. House of Representatives winning re-election," says the Center for Responsive Politics. The way that districts are drawn — at its most extreme, that's called gerrymandering — to put lots of like-minded people in the same districts plays a part. Another factor is the tremendous advantages of incumbency: Sitting lawmakers are more established and better able to raise money. When incumbents do get upset, they're likely to be the most junior members of the House and Senate. When more seasoned incumbents fall, it's often because they are politically wounded or haven't put enough time toward the hard grind of retail politics back home. Mahtesian says that sometimes "they just can't do the rubber chicken circuit anymore." Just look at GOP Sen. Pat Roberts of Kansas, who's in trouble in his conservative state. 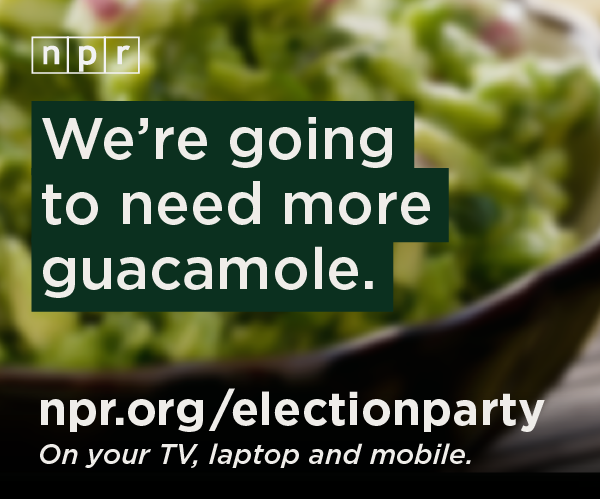 Join Us For An #NPRparty On Election Night! Knowing all of these things, what should you expect on Tuesday? Well, Mahtesian says that when you look at all of the closest House races nationwide, there are more Democrats in trouble than Republicans. He says Republicans seem poised to win between four and 14 seats, strengthening their grip on that chamber. As for the Senate, several political forecasters and handicappers think Republicans will wrest control. Republicans need a net gain of six seats to win the majority. Of the 36 Senate seats on the ballot this year, Democrats are defending 21 of them — seven in states that Mitt Romney won — which is good news for the GOP. And of the Republican senators up for re-election, only one is running in a state that Obama won, which is also good for Republicans. If Republicans do win the majority, the South will help pave the path: Louisiana, Arkansas and North Carolina have key races featuring vulnerable Democratic senators. Republicans, however, will need to hold on to their seats in Georgia and Kentucky. Other important Senate races to watch: Colorado and Iowa.